Citing the growth in “middle-skill” jobs, community colleges in San Diego and Imperial counties have launched a joint effort to prepare students for these well-paying, in-demand careers. A middle-skill job typically requires some college coursework, a post-secondary certificate, or an associate degree, but not a bachelor’s degree. Examples include aircraft mechanics, dental assistants, loan officers, medical secretaries and web developers. Median pay is $55,500 a year for these jobs in San Diego County and $49,800 in Imperial County. Community college officials say these jobs comprise a significant and growing portion of the regional labor market—and they are the jobs that employers are struggling to fill. An estimated 47,000 openings will develop between now and 2022. 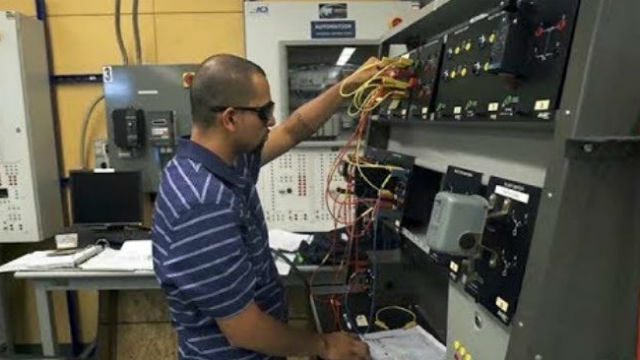 To address this need, 10 community colleges are joining together to offer career education in these fields for both high school students and adults who want to gain new skills under the “Learn More, Earn More” program. One local employer that is already hiring graduates of local community colleges is General Dynamics NASSCO, the largest shipyard on the West Coast. “Partnering with community colleges in the San Diego region has given us a new pipeline for talent that’s critical to our shipyard’s success,” said Dennis DuBard, public and government relations manager at NASSCO. The schools participating in the “Learn More, Earn More” program are Cuyamaca College, Grossmont College, Imperial Valley College, MiraCosta College, Palomar College, San Diego City College, San Diego Continuing Education, San Diego Mesa College, San Diego Miramar College and Southwestern College.